One of the best things you can do to avoid falling victim to malware is to use an alternative browser. Microsoft’s Internet Explorer (IE) is very popular. Not long ago almost everyone used IE, it comes setup with almost every new PC sold (Windows PCs). And malware writers targeted IE because they could attack a majority of users just by concentrating on exploiting one browser. 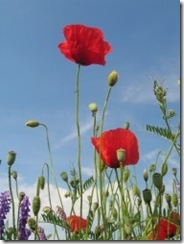 You could call it tall poppy syndrome. Today Firefox is extremely popular. It’s gone from a small minority of people using it to an amazing 44% (depending on which statistics you read – I used this one). This makes for a fairly large demographic, and malware writers are taking notice. There’s a new trojan that hides in a Firefox add-on. Once installed it waits for you to go to an online banking site. When it detects that you’re using online banking it starts recording your actions (account details, your password). Then it sends this off to cyber criminals who auction off your details and eventually someone can log into your online banking and transfer money. This isn’t good. Use a good anti-virus package (it’s a small investment you make to protect your PC). Make sure it’s kept up to date. In summary, Firefox is a very secure browser. It’s also fast and powerful, explaining why it’s become so popular. You just shouldn’t take its security for granted. Most malware infections happen when users are tricked into clicking something they shouldn’t have.